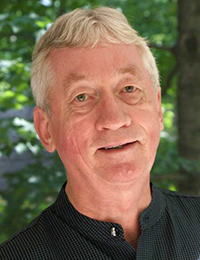 Frans de Waal is C. H. Candler Professor of Psychology at Emory University and Director of the Living Links Center at the Yerkes National Primate Center. He is also Distinguished Professor at the University of Utrecht. 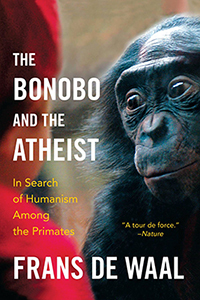 He is the author of Chimpanzee Politics (1982), which compared chimpanzees involved in power struggles with human politicians, and most recently, The Bonobo and the Atheist (2013) and Are We Smart Enough to Know How Smart Animals Are? (2016). His scientific work has been published in journals such as Science, Nature, and Scientific American. He has been elected to the National Academy of Sciences (US), the American Academy of Arts and Sciences, and the Royal Dutch Academy of Sciences. In 2007, he was selected by Time as one of The Worlds’ 100 Most Influential People Today, and in 2011 by Discover as among 47 (all time) Great Minds of Science. Over the last few decades, the study of primate behavior has moved the consensus away from human uniqueness in politics, culture, and morality as well as from a reluctance to ascribe emotion to animals. Professor de Waal will examine similarities between humans and other primates in power politics, transmission of knowledge and habits, and moral prerequisites, such as empathy and the sense of fairness. Based on his team’s research on apes, monkeys, and elephants at the Yerkes Primate Center, the Democratic Republic of the Congo, Thailand, and elsewhere, de Waal will focus on specific, well-defined behavioral mechanisms that permit the complex social organization and extensive cooperation observed in monkeys, apes, and humans. The human sense of fairness is an evolutionary puzzle. To study this, we can look to other species, in which this can be translated empirically into responses to reward distribution. Passive and active protest against receiving less than a partner for the same task is widespread in species that cooperate outside kinship and mating bonds. There is less evidence that nonhuman species seek to equalize outcomes to their own detriment, yet the latter has been documented in our closest relatives, the apes. This reaction probably reflects an attempt to forestall partner dissatisfaction with obtained outcomes and its negative impact on future cooperation. Dr. de Waal hypothesizes that it is the evolution of this response that allowed the development of a complete sense of fairness in humans, which aims not at equality for its own sake but for the sake of continued cooperation.